Mary Halvorson is one of those musicians who refuses to stand still. 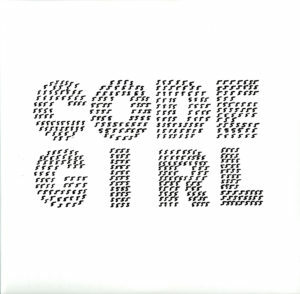 Code Girl is yet another wide-ranging album — this time a double album. She is now drawing more heavily from pop music. The album’s production is not the sparse, “live” style that drove some of her excellent earlier albums like Saturn Sings and Meltframe. Instead there are effects and a rich, streamlined polish that recalls efforts to combine pop/rock recordings with jazz by Colin Stetson or on Matthew Shipp‘s New Orbit, and at times the wistful 1980s recordings of Sonny Sharrock (Guitar). To the extent that jazz fusion is an appropriate descriptor for some of this, Tim Berne‘s bands with guitarist Marc Ducret make a decent reference point. Trumpeter Ambrose Akinmusire channels the calm, reflective style of Bill Dixon now and then. One striking feature of this particular band is the presence of Amirtha Kidambi on vocals. Her singing is reminiscent of Asha Puthli‘s on Ornette Coleman‘s Science Fiction but with more of the tone (and vibrato) of Wendy Lewis on The Bad Plus‘ For All I Care. If all this seems like too many comparisons, it is enough to respond that Halvorson’s band displays an awareness of lots of different music, drawing bits and pieces without becoming beholden to any of those influences. The resultant music of Code Girl is uniquely its own while still revealing a connection and affinity to what has come before, even if its historical reference points remain mostly off the beaten path. In a way, Code Girl seems like a good first crack at integrating more pop elements into music that still retains influences from abstract jazz — the structure of many of these compositions still overwhelmingly show the influence of Anthony Braxton. But Kidambi doesn’t seem like quite the right vocalist, her vocal tone too prim and proper and her bel canto vibrato seeming less fitting than, say, sprechgesang. Halvorson herself sounds great, of course. She’s as good as ever switching on a dime from clean, virtuoso single note runs (like Jim Hall, Joe Pass, etc.) to distortion-laden improvised riffs (like Wata of Boris). In a way, American musicians of Halvorson’s generation are steeped in a digitized, computerized environment that permits a very casual acceptance of chopped up and reconfigured bits with leaps and juxtapositions accepted as a matter of course. As good as this is, the double album as a whole can seem a bit scattered and uneven, though it would also be difficult to say that any particular songs are failures. While Code Girl can’t quite match Halvorson’s Away With You (arguably her best album to date), it is a welcome confirmation that she has more new ideas and plenty of adventurousness to spare. Here’s hoping that she can fine tune the approach of Code Girl in the future.